We are situated 1.5kms inland from the spectacular Uvongo Beach and Waterfall. The Estate is set on 5 acres of lush tropical gardens. At the main complex we have a Tea Garden, Orchid and Exotic Plant Nursery, Restaurant, Clothing Design Studio and the Pool Deck. All our accommodation is situated approx 150m away from the Main Complex, overlooking our own private dam, in a tranquil and private setting. A car park is available at the back of the accommodation block. All rooms are well appointed with bathrooms en suite, ceiling fans, bar fridge, Tea/Coffee making facilities, built in dressing tables with hairdryers, Colour TV’s (only SABCTV reception and have DVD Decoders.. You may bring your own DSTV Decoder and card as all rooms are wired with our Dish) and Air Conditioning and own Patio. Safe, fax and email facilities are available at reception. We also have a two Bedroom unit, main bedroom has a Queen-size bed, and the second room two single beds. The pool is available to residents only from 6.30am till 6.30pm or later by arrangements. Residents Breakfasts are served on the pool deck at 9.00am, (Please advise us in advance of any dietary requirements) take away breakfasts can be arranged if you are going early or sightseeing. Bath and Hand Towels are provided, but please bring your own Beach towels or you can hire at reception. Our Restaurant is open for evening dining, but bookings must be made at breakfast. Once a 50% deposit has been received we will confirm your reservation in writing. The Stephward Team looks forward to welcoming you to our Estate - click here for booking enquiries. Afristay has named Stephward Estate a Travellers' Choice Establishment. 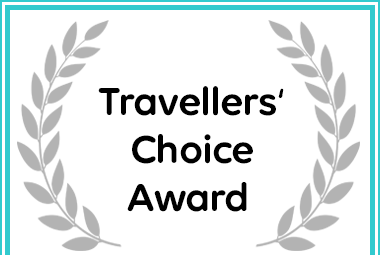 Stephward Estate received a Travellers' Choice Award due to exceptional customer reviews for Accommodation in Uvongo.